At some point every day, heads of households throughout Canada wonder: "What's for dinner?" Nothing beats a home-cooked meal, but making dinner from scratch takes time. Fortunately, there's a life hack that allows you to make a hearty meal in less time: a slow cooker. Read on for three wow-worthy slow-cooker dinner ideas. Make a paste with the brown sugar, garlic, soy sauce, and spices and coat the pork with it. Pour a cup of broth into your slow cooker, place the pork on top, and cook on low for 8 hours. Remove pork, cool, and discard the bone and fat. 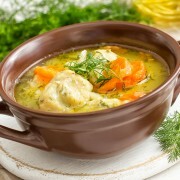 Strain the broth and return it to your cooker. 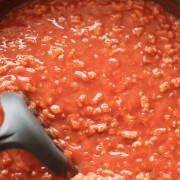 Shred meat with a fork, return it to your cooker, and then coat it with sauce. 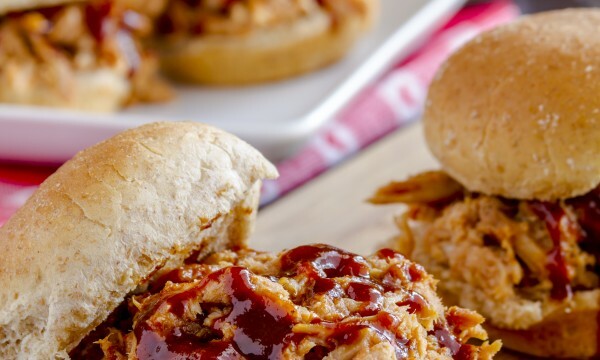 You can serve this pulled pork on a bun, in tacos, or as a nacho or baked-potato topping. Mix ricotta, egg, 6 ounces (180 g) of mozzarella, and 1 ounce (30 g) of Parmesan. Set this aside. 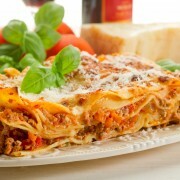 Pour a cup of sauce into the cooker, top with three lasagna noodles, and spread one cup of cheese mixture then one cup of beef or spinach over the noodles. Top that with a cup of sauce. Then, repeat the layers. To finish, add three noodles on top, and cover them with the remaining cheese mix and sauce. Then, sprinkle 2 ounces (60 g) of Parmesan on top and cook on low for 5-6 hours. 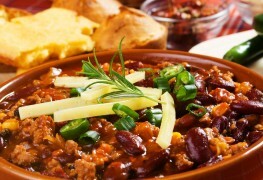 Chili becomes more flavorful the longer it cooks. It also lends itself to creativity. So after you've got the basics down, you can add your own spin. Chop your onion and a few cloves of garlic. Heat a tablespoon of oil in a skillet over medium heat. Add in your onion and garlic and let it cook for about 5 minutes. Add 3 pounds or so (about 1.3 kg) of ground turkey or beef and cook until browned. Place mixture in slow cooker and top it off with two 14-ounce cans of kidney beans, two 28-ounce cans of whole tomatoes (break them up with a spoon), 5 tablespoons of chili powder, 2 teaspoons cumin, and 1/2 teaspoon of cayenne pepper. Add additional spices or ingredients to taste and cook on low for 8 hours. 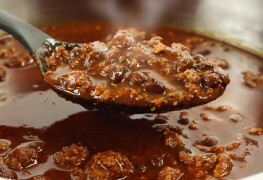 Once it's ready you can serve this chili as is or with cheese, tortilla chips, sour cream, chopped tomatoes and cilantro. If you've got a slow cooker and are looking for dinner ideas, give one of these three wow-worthy recipes a try. You might just find a new family favourite.